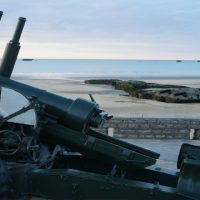 Our tour begins at Arromanches (artificial port of Mulberry), where we will visit the place that still preserves the vestiges of D Day. 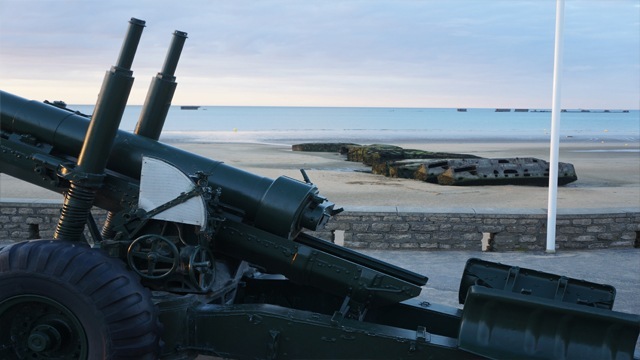 We will stop at the museum-shop of Arromanches, where several objects recovered on the beaches are in exhibition and for sale. 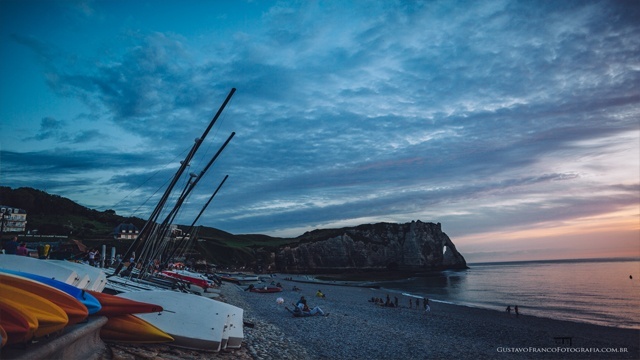 We will stop to see a panoramic view of Gold Beach. Continuing the tour, we will visit the German Coastal Battery of Longues Sur Mer, where there was a command post of firing and four casemates where each one housed a piece of artillery of 150 mm. 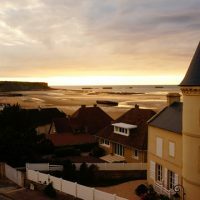 Next we will head to Omaha Beach to see the American Cemetery, created to perpetuate the memory of those who fought in the Battle of Normandy. We will finish the tour at Pointe du Hoc, a strategic point that was neutralized by the Rangers on June 7, 1944. The “Operation Overlord” marks the beginning of the battle of Normandy occurred on June 6, 1944 and is known as D-Day. This day marks the beginning of the Allied invasion in Western Europe, occupied by Nazi Germany, in World War II. The Normandy invasion began with the arrival of paratroopers the night before, massive aerial and naval bombardment and an amphibious assault early in the morning. Sixty years later it remains the largest maritime invasion in history, with nearly three million soldiers crossing the English Channel. The armies involved in this great military operation had distinct objectives which consisted of the possession of the beaches, codenamed Omaha and Utah, for the Americans; Juno, Gold and Sword for Anglo-Canadians. Germany, at the initiative of Rommel, awaiting the allied landing, sought to defend itself through the so-called Atlantic wall. Rommel, with all his military experience had predicted that the allied landing would occur in the beaches of the French northwest and managed, thus, to make the battle of Normandy true hell for the Allies, causing heavy casualties. However, through this operation the Allies secured a solid beachhead on the French coast, defeating the German military forces that were spread, protected by coastal and land fortresses, throughout Brittany. In fact, the landing was crucial to the Allies, as it led to the mobilization of German troops for this new battle front, weakening and German defense against the Soviet Union. 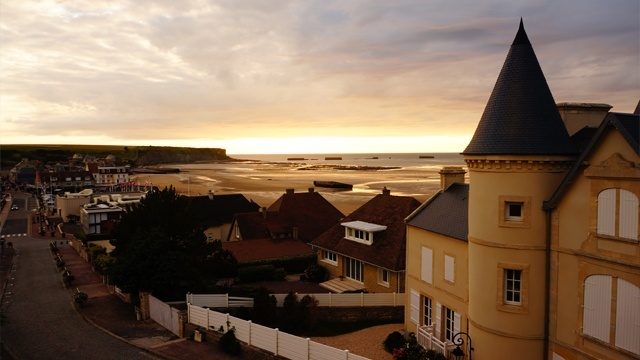 What includes the D-Day Landing beaches private tour ? 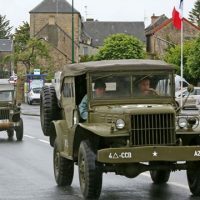 Great tour for those who enjoy the theme of World War II. Pierre showed us and explained several landscapes and events that we did not find in the books. 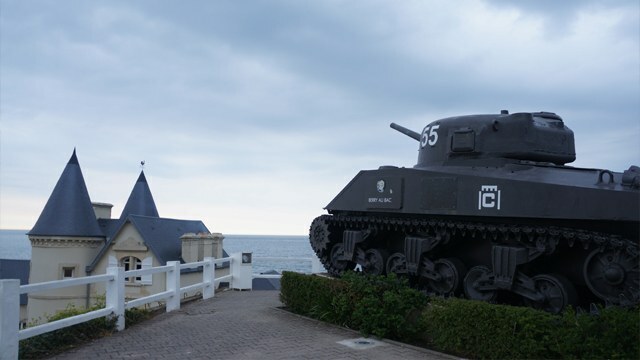 A very worthwhile day trip, I plan to do another D-Day tour with Pierre and the company «My Normandy Tour». 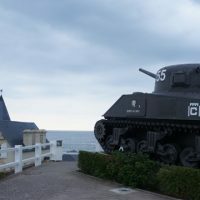 I came in contact to realize an old dream that was to visit some places referring to the Second War and especially the battles that happened in the Normandy region. From the first contact with Pierre, I can say that he treated us with a lot of professionalism and attention, always taking into account some particularities that I needed. The tour was outstanding with all details explained, places of visits, museums chosen by the guide, as well as collectors' items (which was something I had hoped for). 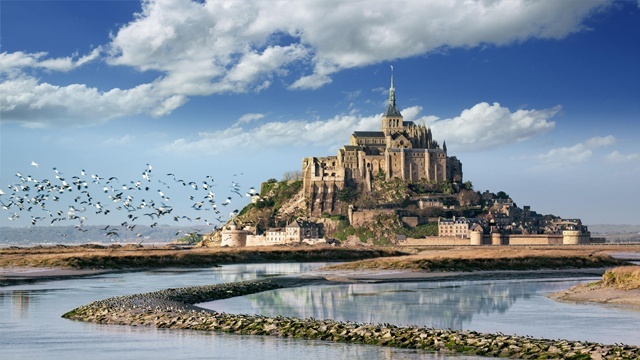 I just have to thank Pierre and the company "My Normandy Tour". Dear Pierre and Jamilly. Thank you again for giving us a tour that was the fulfillment of a dream. All the information you have passed about the historical places we know are of inestimable value. I recommend the company that among other qualities stands out the warmth and professionalism.